Happy Friday, friends, and cheers to the weekend! It’s the teen’s school Homecoming, so we’re headed to the football game tonight, then it’s pictures and swallowing back tears tomorrow. All these ‘lasts’ of his Senior year are slowly breaking my heart! He’s already receiving college acceptance letters, so it looks like this whole moving away thing is actually happening. #gulp Let’s move on before the ugly cries start, shall we?! 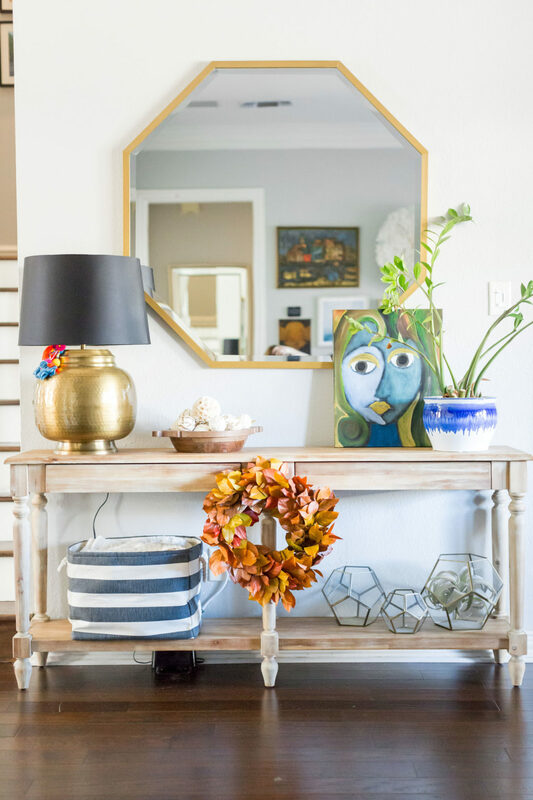 Thanks for the love on this week’s Work to Weekend style post, along with the Thanksgiving fun, including our Rustic Glam Table, Starbucks Pumpkin Bread recipe, and cute outfits for Thanksgiving day. 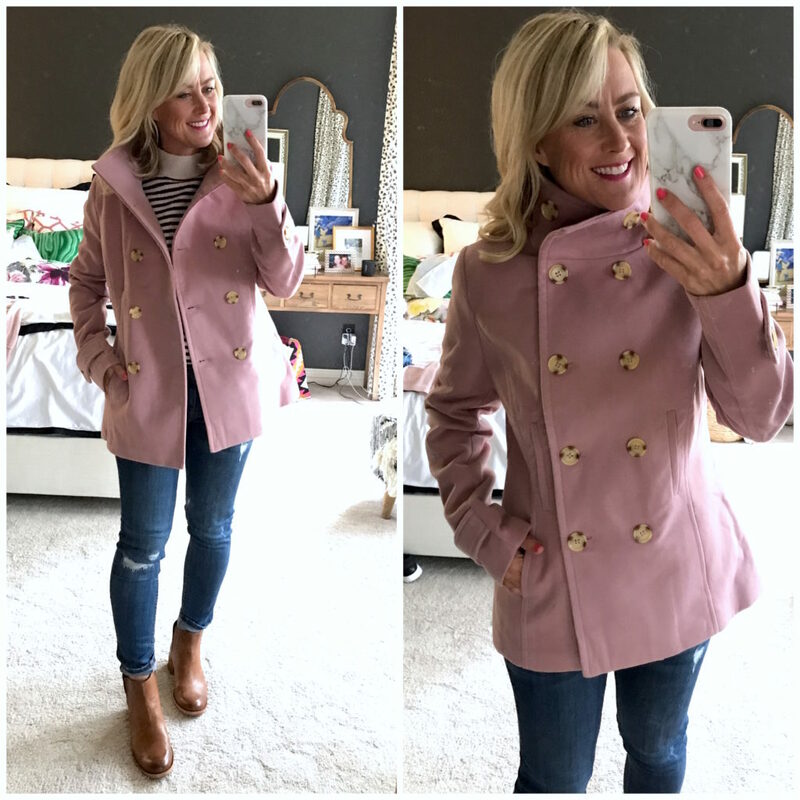 Today is a grab-bag of topics, starting with another round of Sugarplum Style, snapshots of my everyday outfits I share on Instagram and Facebook, created by mixing and matching items in my closet. I hope they inspire you to stretch your wardrobe further by mixing up what you already have, and thoughtfully add new things. 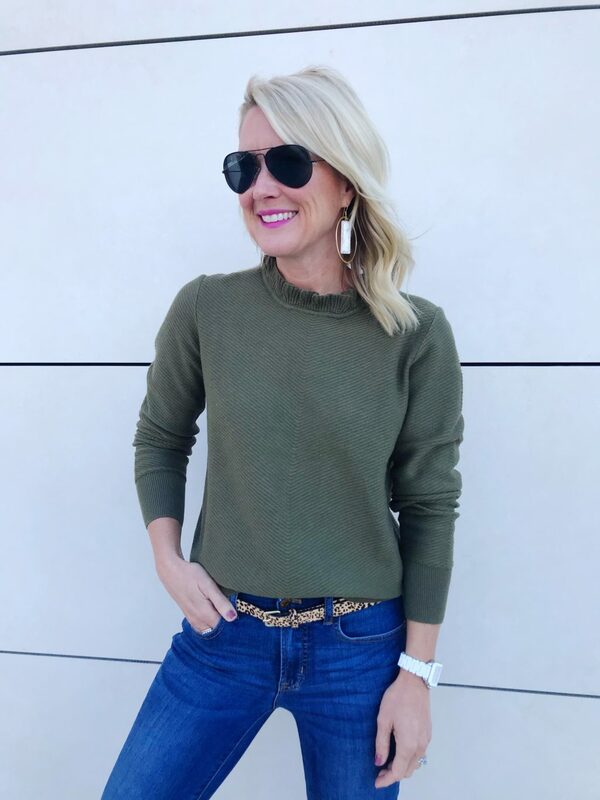 I’m crazy about this dark olive shade for Fall, and this sweater is so comfy and cute with the ruffle detail. It’s also on sale! My earrings are lightweight and a fun touch of color. Finally Fall! 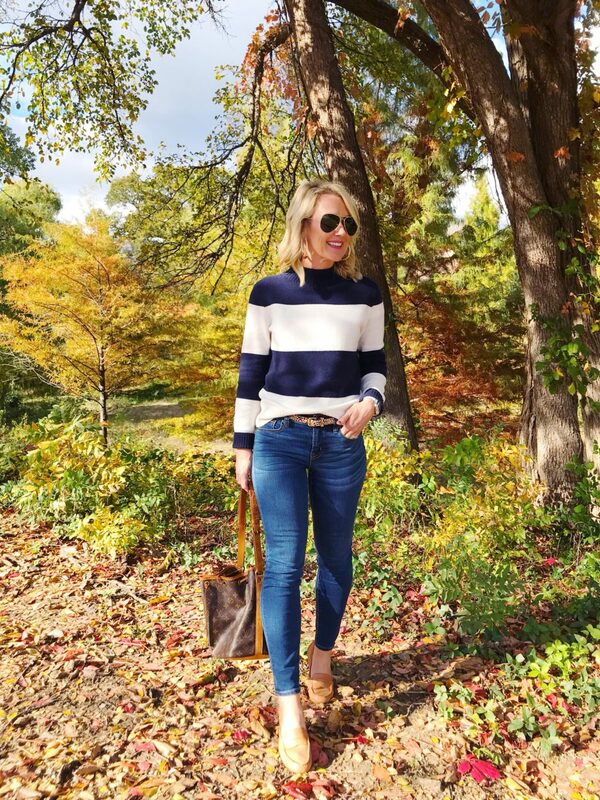 Love the wide stripes of this sweater…also on sale! And clearly this leopard belt is my go-to outfit maker. 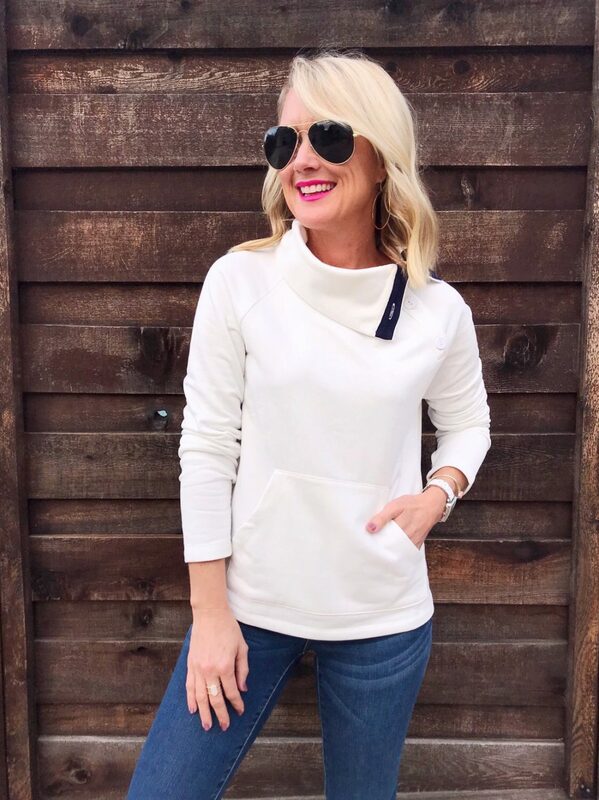 This cotton pullover has a fun collar and thumbholes, and so cute with jeans and joggers. 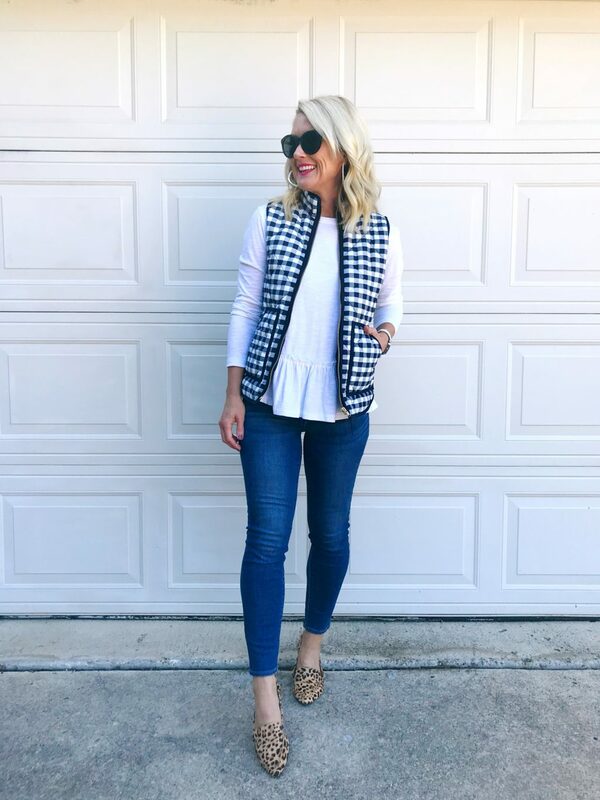 Checks and peplum, with a side of leopard, of course! The peplum is soft cotton and on sale under $20! Do you follow me on Instagram and Facebook? 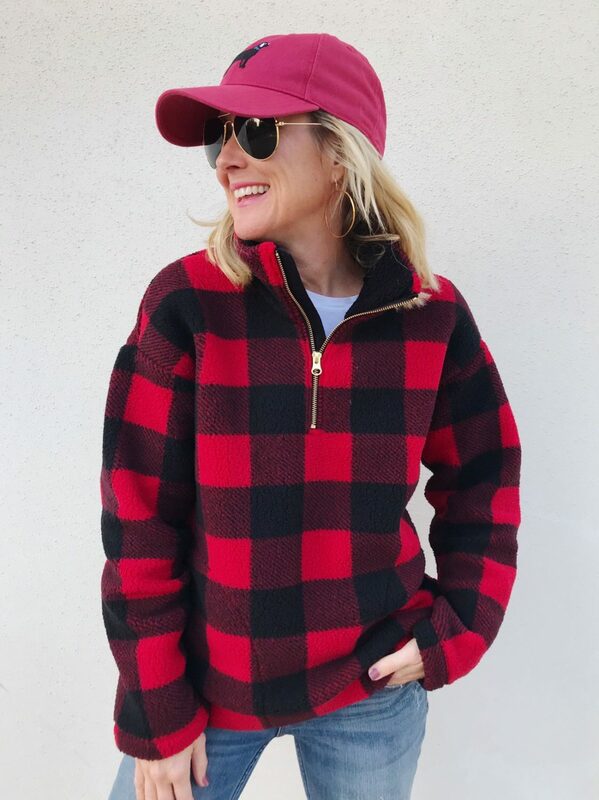 I posted this favorite Patagonia pullover there yesterday because it was 20% off! 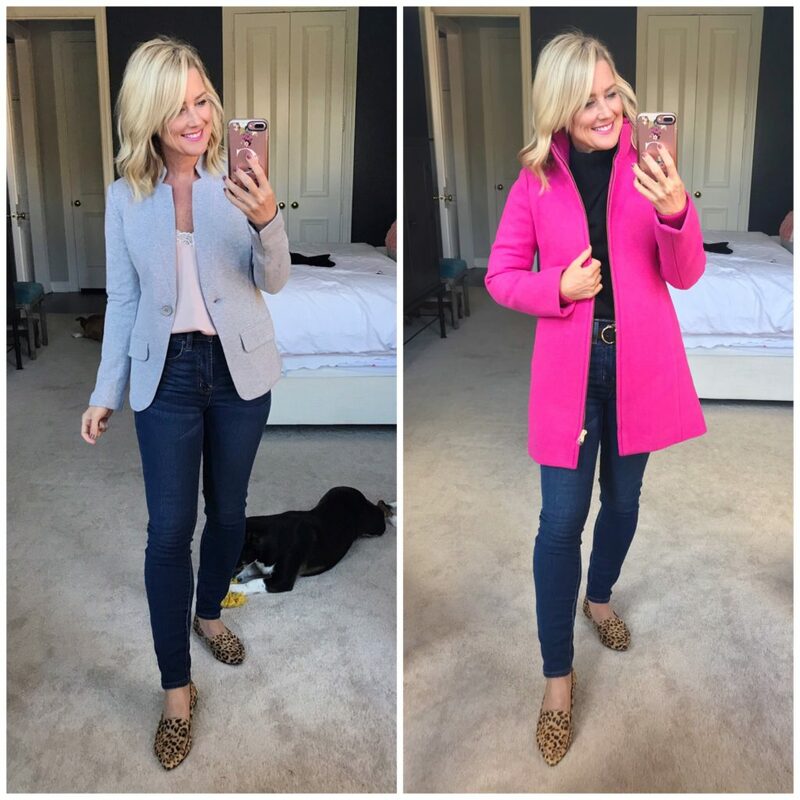 I post daily sale alerts and new finds you don’t see on the blog, so make sure you’re following! You can still take advantage of this sale with code TAKE20NOVEMBER. Fit Tip: I size up to a small. Another day, another cozy pullover! This one also on sale!! I’m tempted to grab the pink one, too! And see my cap? Yep, that’s an embroidered dog!! #hearteyes I also grabbed it in camo. Fit Tip: I sized up to a small in the pullover. Last week’s Dressing Room Diaries had a lot of surprising favorites, but these pieces were among your faves. 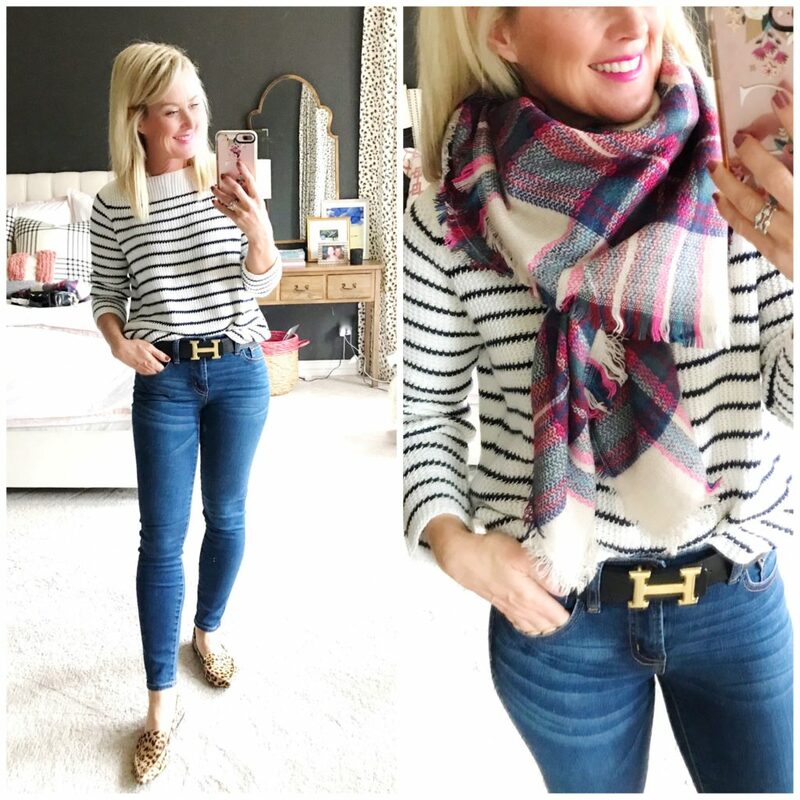 And last month’s Amazon Fashion Finds were the most popular yet…with this scarf and belt being your top picks. It must be holiday season because the sales are coming in hot! 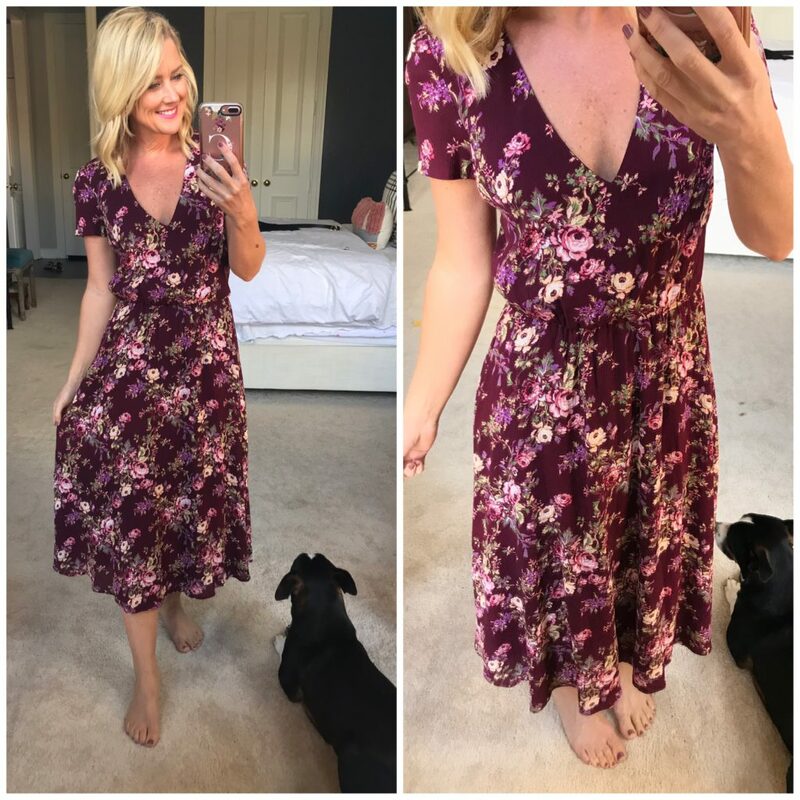 Nordstrom started their Fall Clearance, with many of my long-time favorites and recent finds now marked down! 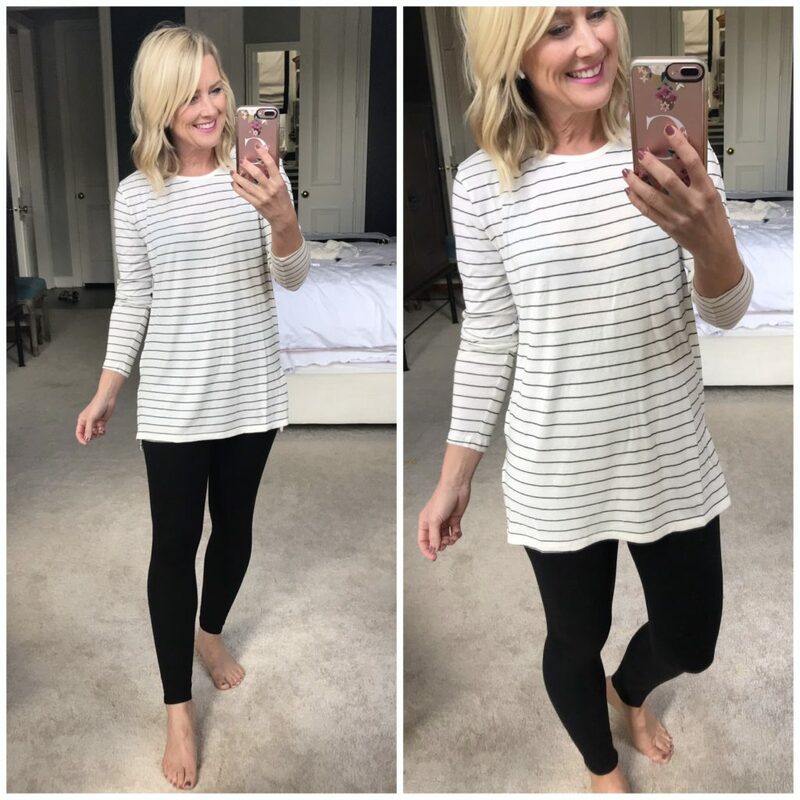 This scoop neck pullover is part tee and part fleecy sweatshirt…basically a soft, cozy top that cute with jeans, sweats, and even long enough for leggings. 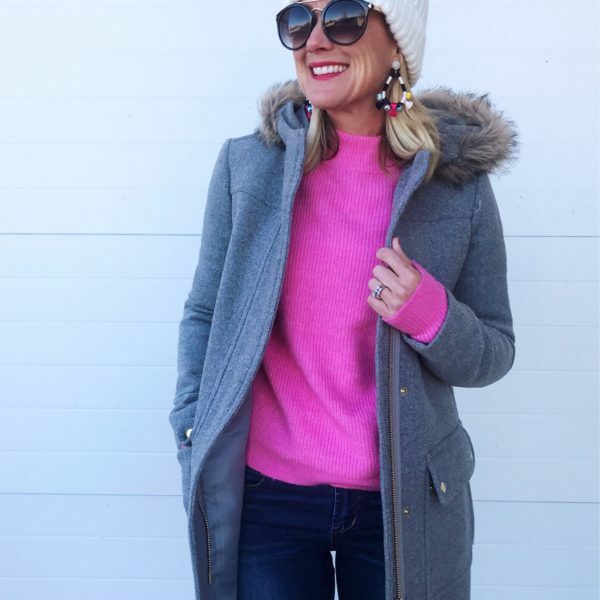 This popular wool peacoat is back, and on sale under $40! I grab a new one every year, and am now up to three colors! Love this unexpected blush shade for Fall. Fit Tip: It runs small, size up one. This striped tunic tee is now under $15! 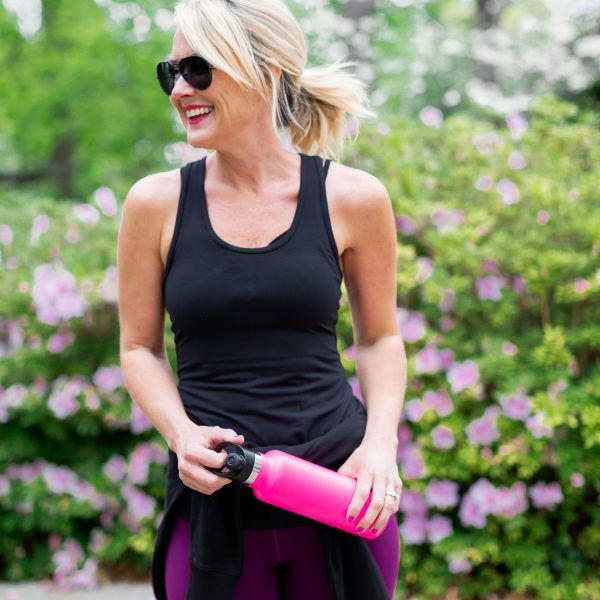 It’s lightweight and great for layering, and long enough for leggings. Both of these crewneck sweaters with cute button details are on 40% off! The stripe is a wool blend, but the solid a much softer cotton blend. 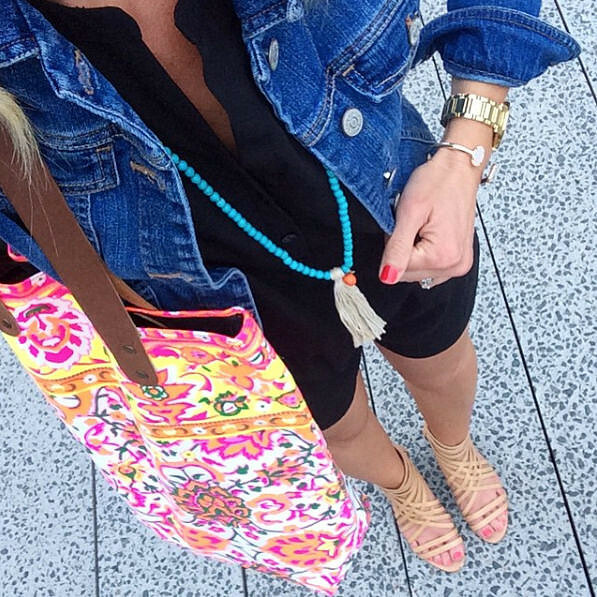 Everyone’s favorite miracle dress is on sale…and comes in tons of colors. It has magical ways of flattering virtually every figure. I wear it with heels, booties, knee boots, long cardigans, moto jackets…crazy versatile for day or night. 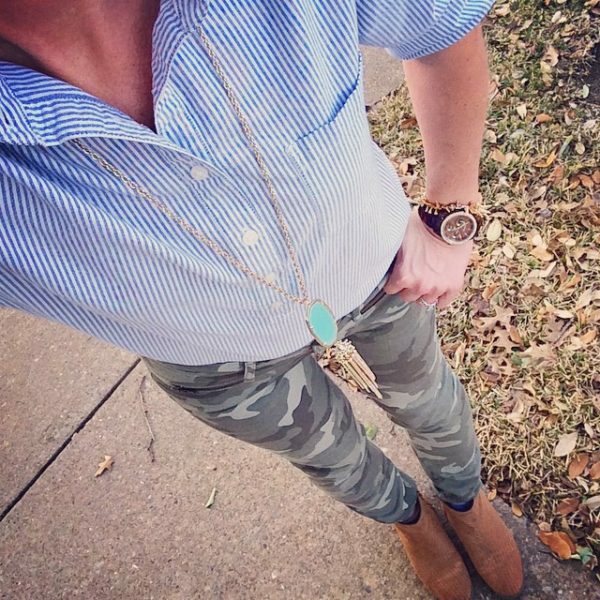 Fit Tip: I size up for a less body-con fit, wearing a small. The long sleeve version is also on sale! 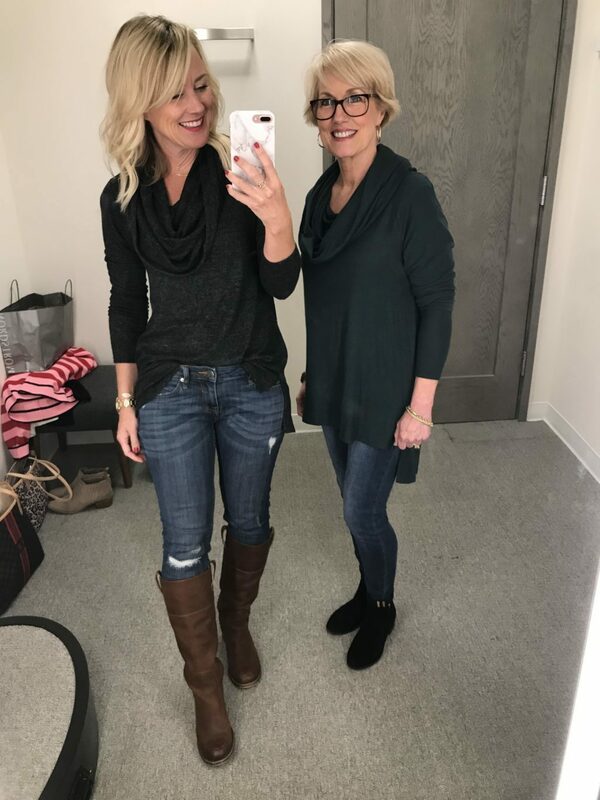 Mom and I both love this super-soft tunic with jeans or leggings. Wear it as a loose cowlneck, or even off the shoulder. Comes in 10 colors and on sale! 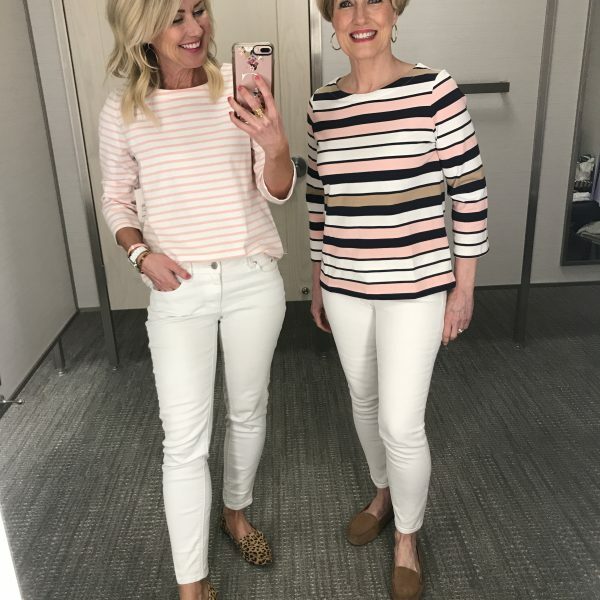 Fit Tip: We both sized up to a small for layering room. 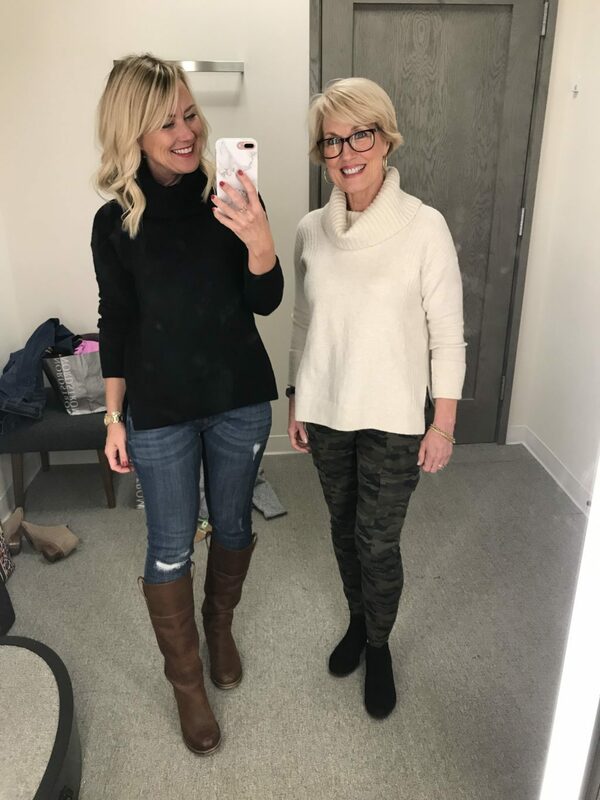 And this isn’t a sale alert, but I was so excited to see one of our favorite sweaters from last year back again!! It’s crazy-soft and plush, with a relaxed neck. It comes in several great neutrals and is pretty much the perfect fall sweater. 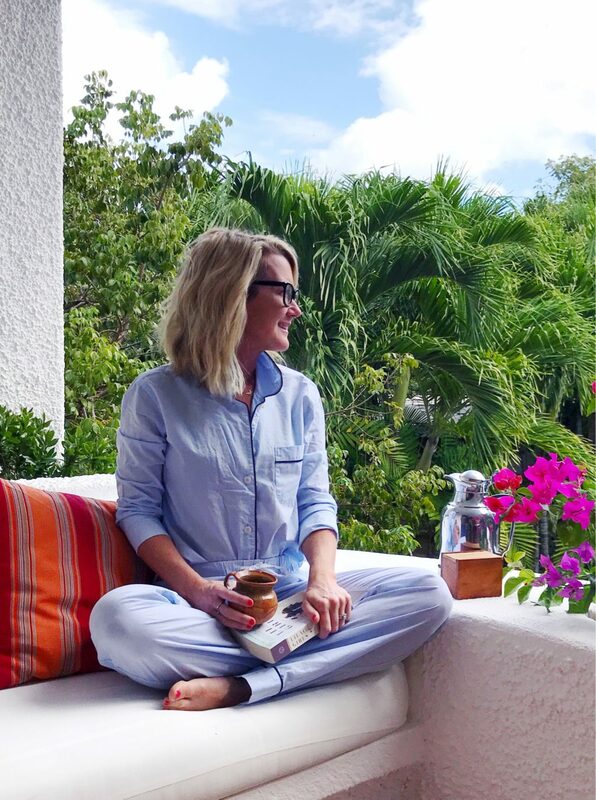 These classic cotton pajamas with contrasting piping are 30% off. And now I want to go back to the Belmond Maroma! 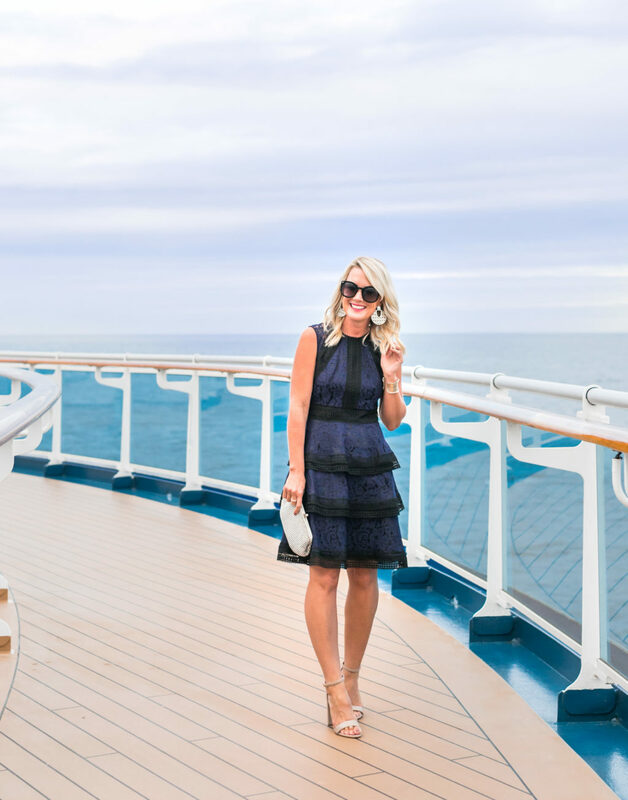 My gorgeous lace fit-and-flare dress is finally on sale…40% off! 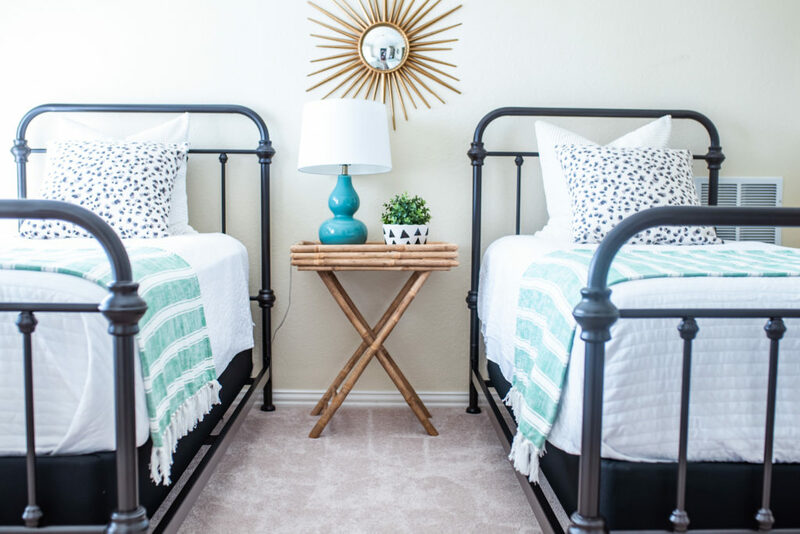 In home decor, I found our Guest Room beds 25% off! They come in several sizes and finishes. 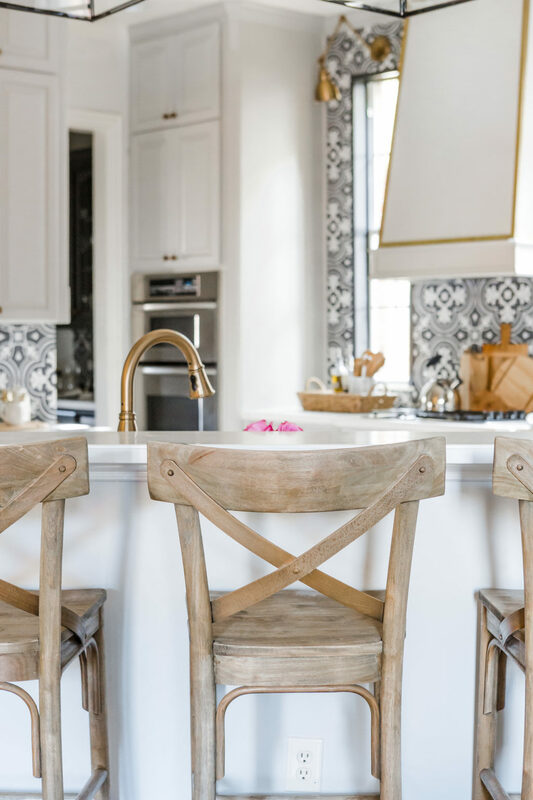 World Market is having a huge furniture sale…including 40% off our console table and kitchen bar stools! 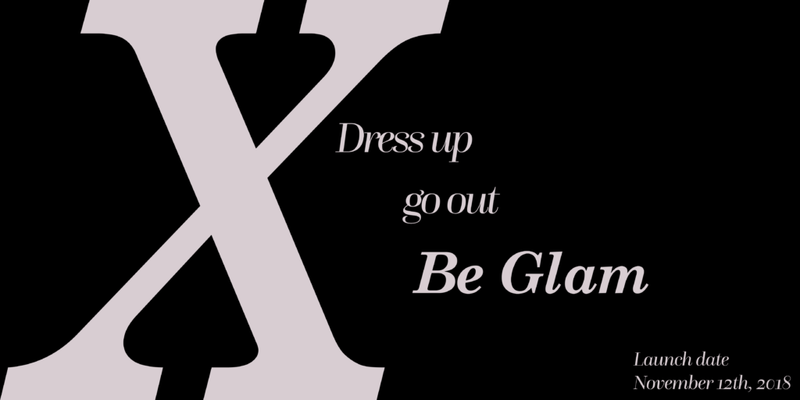 And finally…don’t forget the Gibson x Glam Holiday Collection launches Monday!! I am positively bursting with excitement to share every single piece with you, but especially the ‘Cassie‘ top! 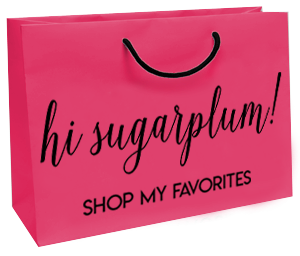 A piece we designed with you sassy Sugarplums in mind! #sequins! WHEN: The Gibson x Glam Holiday Collection will launch online exclusively at Nordstrom, Monday November 12. 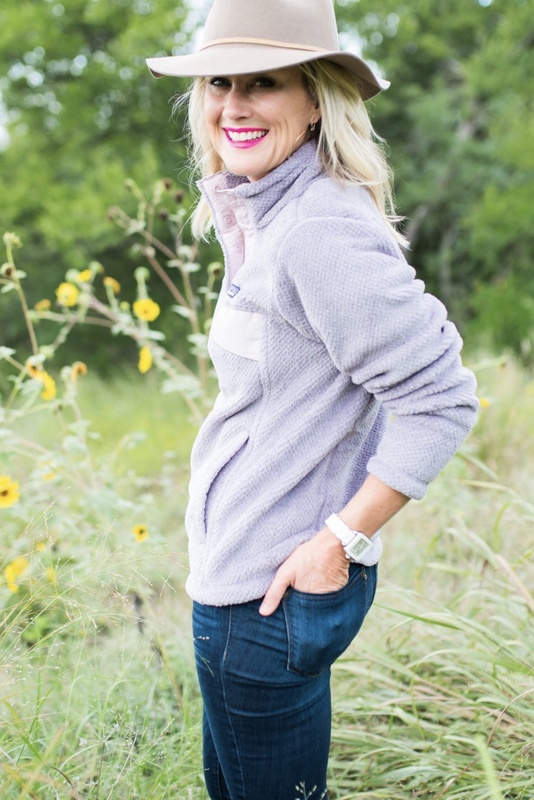 My post will go live at my usual 5:00am CST, and I’ll be sharing all the signature tops, plus sizing and fit tips for each! So be sure to start here for easier shopping. WHAT: Nine influencers each have a signature namesake piece, designed with them in mind. Plus, there’s an additional nine pieces, for a total of 18 amazing pieces (tops and bottoms!) to make your holidays sparkle. The Collection includes luxe lace, sequins, velvet, and satin…but nothing is over $100! WEAR: Holiday parties, office parties, date night, Friendsgiving…the list goes on! These pieces have you covered for the holiday season and beyond! At this time, there are no restocks planned, and while the Collection is well-stocked, I’m predicting it will go fast! 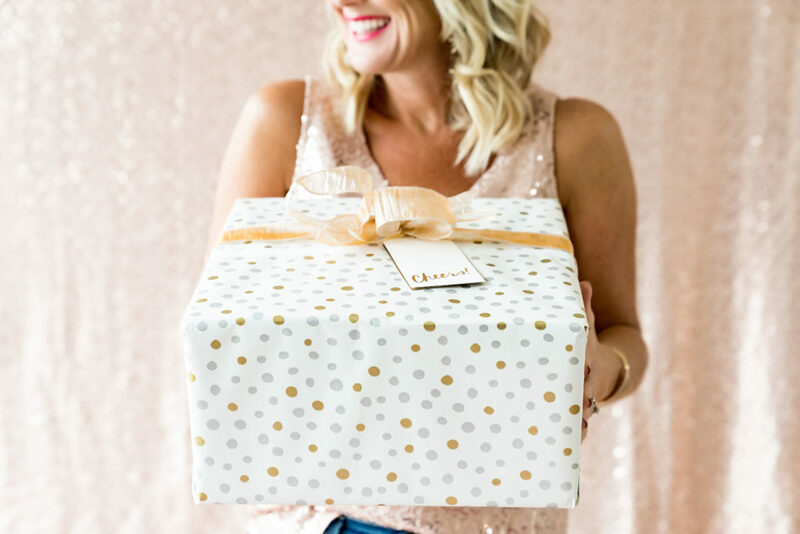 So get excited and I’ll see you back here Monday morning to add some sparkle to your holiday style! Happy Weekend, lovebugs! next article: The Gibson x Glam Holiday Collection is Here! I’m loving deep olive, too! I’m a knitter/crocheter and have 5 balls of deep olive wool that I can’t wait to use. The J.Crew sale is 35% off with code family and free shipping- all you need is a free account. I just ordered my Christmas pjs. Their cotton vintage button downs with piping are the only type in my dresser. So comfy! Love it all! You have the best taste. Where are your breakfast table and chairs from? Thanks so much! The table is West Elm and chairs World Market! HI, I really like the long sleeved Ruche dress but I live in the Midwest where our winters are cold! Can you give me suggestions on what I can wear with it, casual and dressy to warm it up? Thank you so much! I’d do a long city coat or peacoat when outside, and a long, chunky cardigan inside!! And booties to keep your feet warm! The black and red carmine dress are beautiful and those leggings, I really like the green pattern.